Design by Josep Aregall. 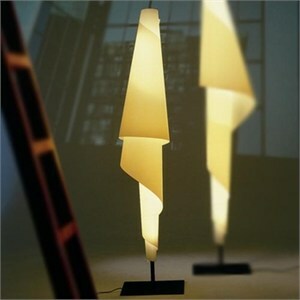 This sculptural floor lamp provides ambient illumination. White, wrapped, acrylic, translucent shade. In-line on/off foot switch. Matte black lacquered base. Electronic HPF ballast.